Echeveria Blue Metal is one of our favourites, and it’s easy to see why with these exquisite colours! 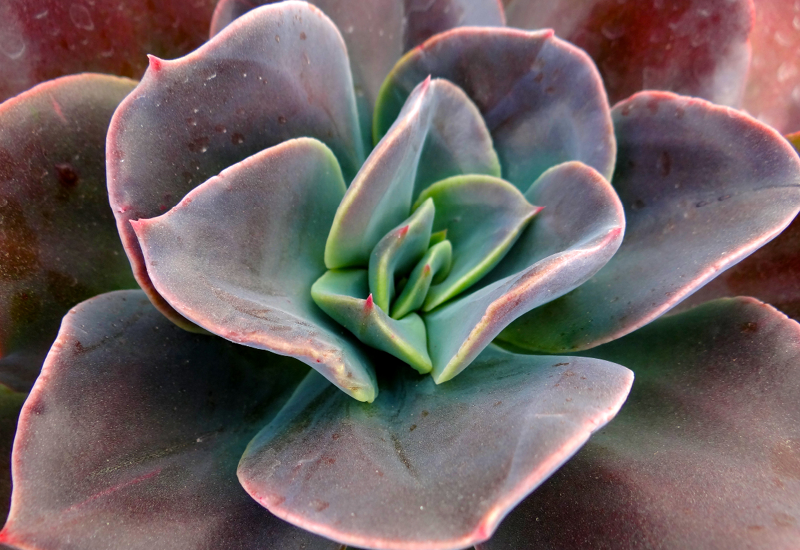 A decadent red-velvet melting towards a beautiful blue centre – this succulent provides year round beauty and would look incredible in your home or garden. Growing a neat 25cm diameter it would fit well in a small-medium decorative pot of your choice. During spring to summer you will be treated to lovely pale pink flowers – icing on the cake for this delightful plant!